Get that perfect boho chic look in easy wearing comfort with the SKECHERS BOBS Plush - Festival Star shoe. 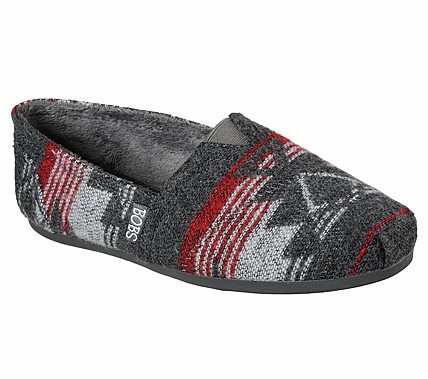 Soft woven Aztec print textured wool fabric upper in a slip on casual alpargata flat with stitching and overlay accents. Memory Foam insole.